Hello everyone! 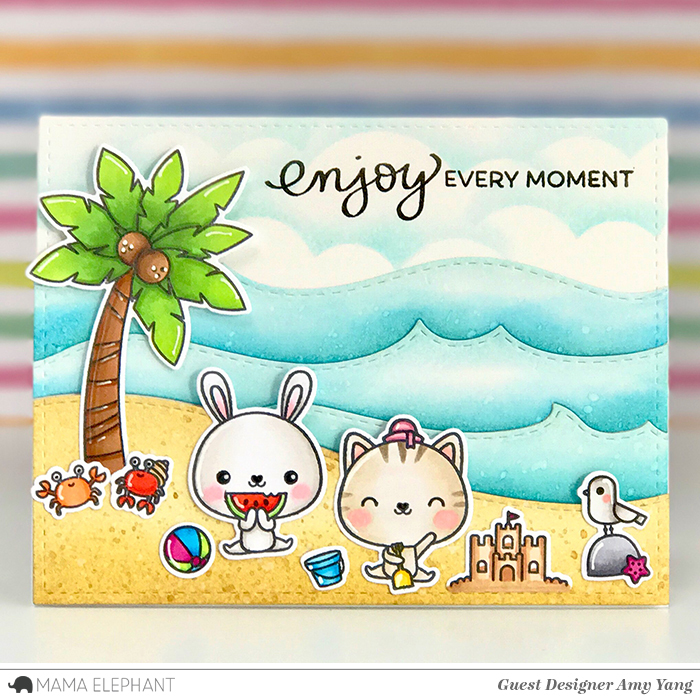 Today we have more card inspiration for you as we start our Stamp Highlights with Luli Bunny's most recent set, Summer Days! These projects are really selling me on that sweet watermelon and that cold summer cocktail! We are super excited to have Amy Guest Design with us again this month! We totally dig her awesome backgrounds! 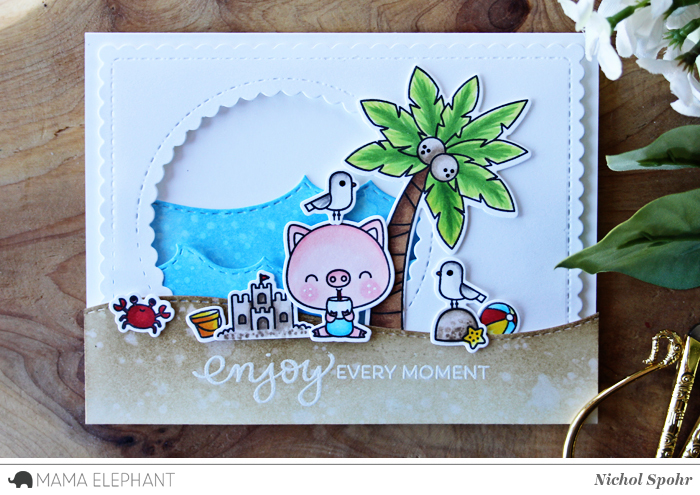 Nichol created a sweet summer beach scene with the Summer Days images and Sweetest Greetings, all supported with die cut elements from the All Prettied Up, Ocean Wave Trio, and Landscape Trio die collections. We love Anna's card - looks like a perfect picnic on the beach!! 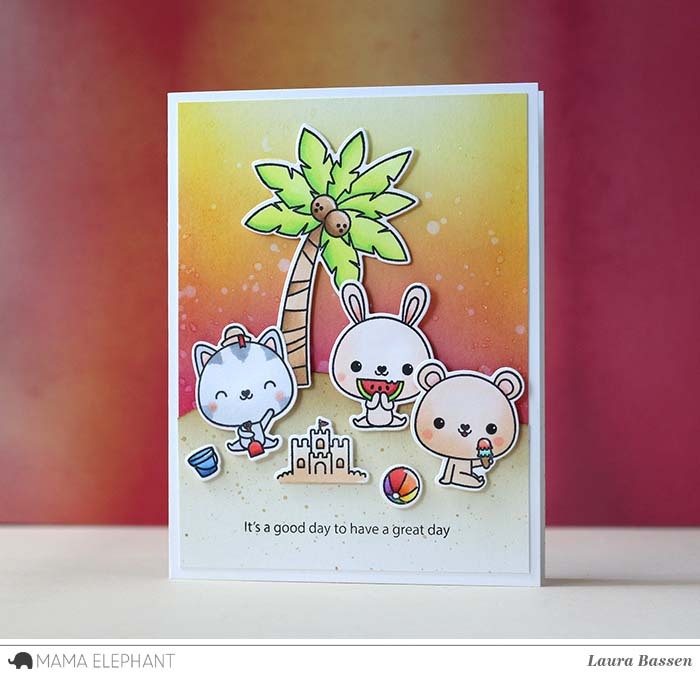 Laura created a fun beach scene and added a sentiment from Sunday Sentiments. 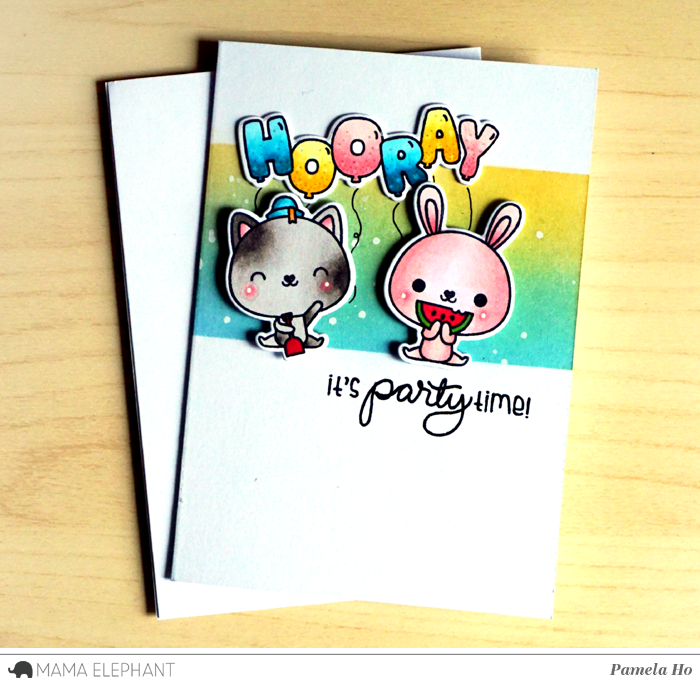 Pamela used the celebration balloons with Miss Bunny and Mr Kitty to throw a fun and colourful party! What a darling set of card by Vera! They are all so stinkin cute!! Love your stamps! !